June's employment numbers show a labor market that is pretty much where it was a year ago. 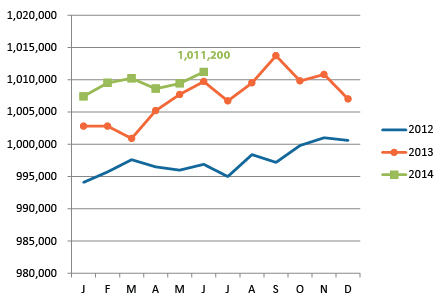 The Kansas City metro has 1,011,200 jobs, up by just 1,500 from June 2013. 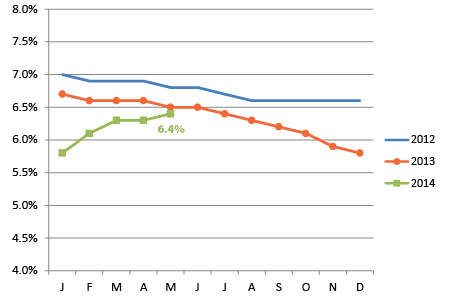 The region’s unemployment rate climbed a bit in May (the latest seasonally adjusted data available), to 6.4 percent. That is better than a year ago, but still well behind peer metros. The employment situation is uneven across industries, too, with fairly strong growth in the Professional Business Services and Health and Education sectors in the past year, but losses in most other sectors. 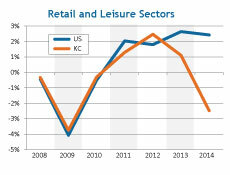 Job losses were greatest in Retail and Leisure-Hospitality sectors. One could look at this as an indicator of an economy in transition. We are moving away from some of the lower skilled jobs in retail and hospitality and toward higher skilled jobs in business and health. What's puzzling is that this trend is not occurring on a national level. 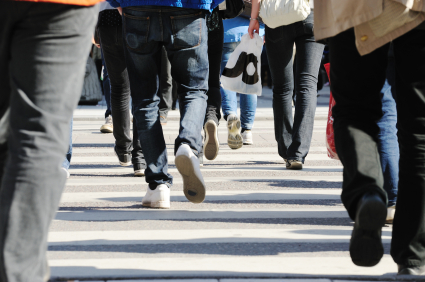 Nationwide, retail and hospitality employment grew 2.1 and 2.8 percent respectively between June 2013 and June 2014. The charts below may illustrate this more clearly. The top chart shows employment change since 2007 in the combined professional business services and health industries (the two sectors where our growth has been solid). Here, Kansas City's employment follows the same pattern as the U.S. The second chart combines the two sectors where we seem to have diverged from national growth trends (retail and hospitality). 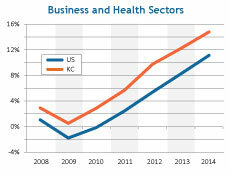 One, Kansas City’s employment growth has consistently lagged the U.S. since 2007. And two, this lag has been exacerbated by particularly poor local employment performance in the retail and leisure sectors. As always, we will monitor this data to see if revisions are made or if there is something more structural in the regional economy that is limiting growth in these sectors. Save the date — details to follow. Employment growth has been less than robust so far in 2014. The seaaonally adjsuetd unemployment rate rose to 6.4 percent in May. 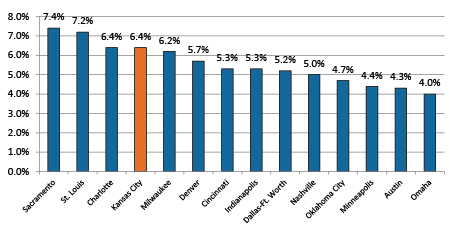 KC's unemployment rate is now well in the bottom half when compared to its peers. 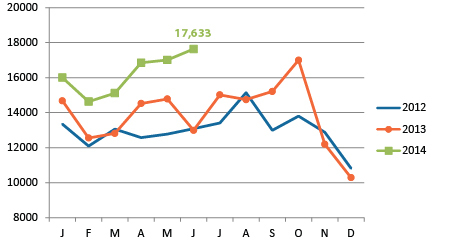 Despite lackluster employment numbers, Kansas City's job postings have climbed steadily in recent months. Everyone knows there are three laws of real estate: location, location, location. Our data suggests there should be similar laws for economic development: education, education, education. All metropolitan areas compete with each other for future economic growth and development. We have a number of fine economic development organizations throughout the region that work to sell prospective businesses on the benefits of relocating to the Kansas City metro. These development agencies often tout our quality of life and our central location, and state and local governments sometimes offer tax or training benefits to help bring businesses to the region. Increasingly, however, businesses depend on a talented workforce to grow. The availability of talented workers will trump other amenities. Without the right workers, businesses can’t succeed, no matter what the quality of life is or how low the taxes are.